It's that time of year where we all put on our baking aprons and whip up something spectacular for an excellent cause. 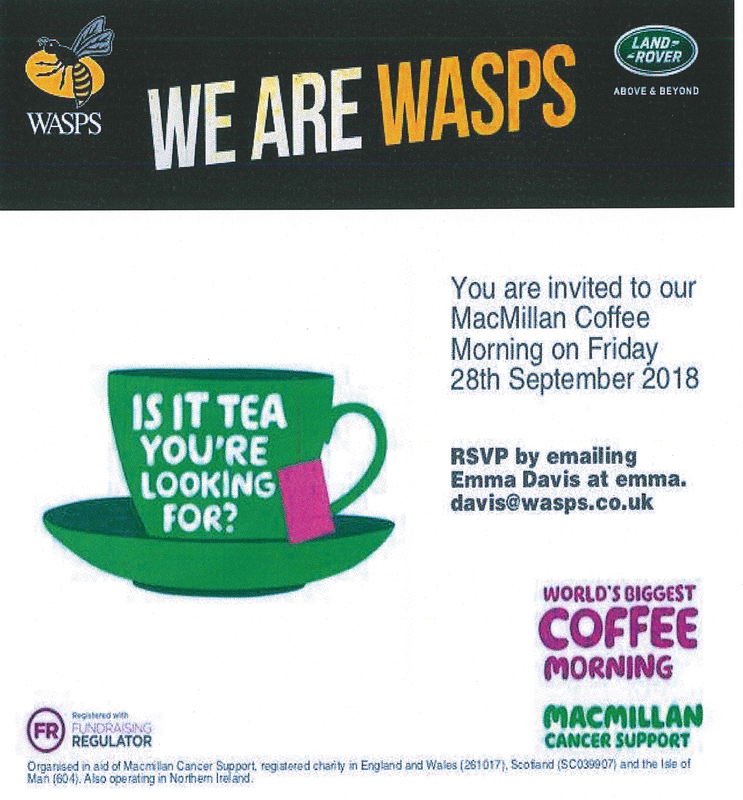 Wasps and Gallagher are delighted to invite you to our MacMillan Coffee Morning which will be held at Ricoh Arena in the Boardroom on Friday 28th September from 9am - 11am. Get your baking hats on as we'll be holding a 'cake-off' competition where we will crown a star baker. All funds raised on the day will be donated to MacMillan Cancer Support.